If you look closely, a kettle different from a simple pots only in the presence of the spout. Compare: the cover has a handle, though particular in form, has a frame that certainly bucket, with the same flat bottom. And also, as pan, because of that flat bottom is not heated, as the fire coming out from under him, not only for the walls. Now, if the bottom was concave — conical or hemispherical, then another thing: the flames have struggled almost inside the case, giving him the most heat, and the water was boiling would be much faster. It is easy to check if you have kept the once very common a large aluminum kettle. Flipping it over and “planted” on any of a wide tube, careful blows of a hammer with a spherical head and make the bottom of walnuts inside. 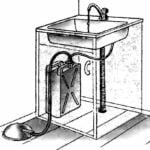 Then you will see: if this kettle to put on the gas stove near the usual flat-bottomed, the water in it will the chains in motion much earlier. However, you can go even further in these experiments, if you recall the design features a samovar and an electric kettle. 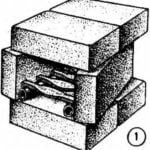 They have a heating element is inside the body: the first is a tubular furnace, penetrating the whole water column and, thus, heating all of it at once; the second similar tubular elektrospiral. And both because of this quickly to a boil. Having said that, we will continue to improve our kettle. 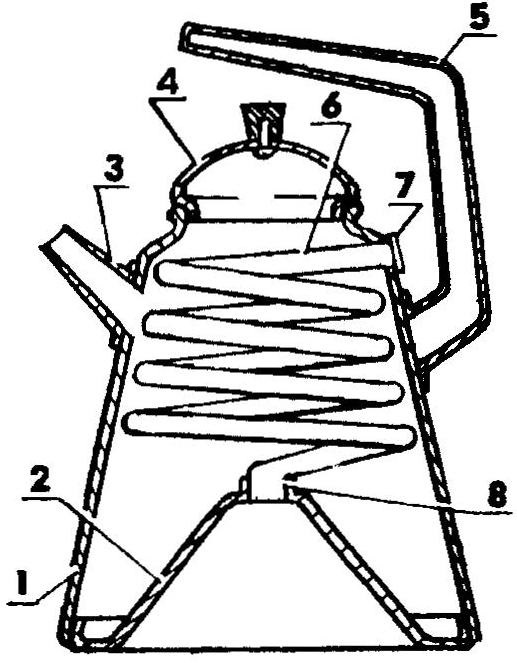 If obtained from the top of a concave conical or spherical bottom inside of the kettle to bring the spiral tube, the second end of which will come out somewhere closer to the cap? 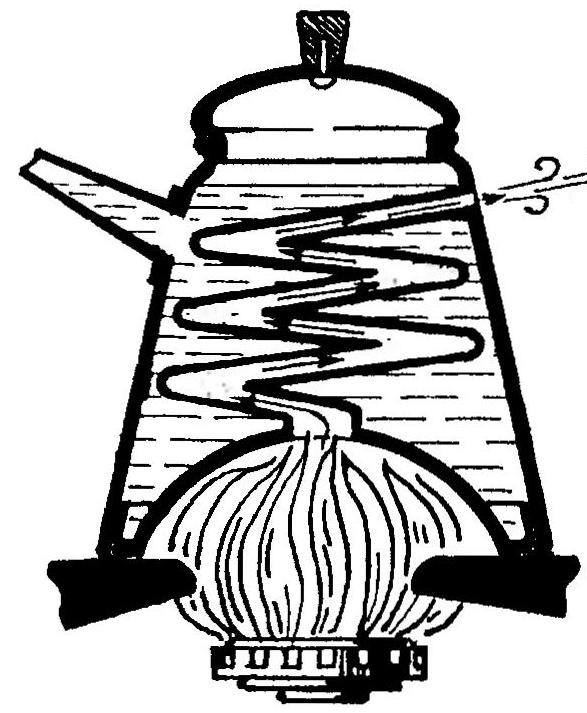 Then the hot gases of the burner will heat not only the concave bottom, but will go through the tube, simultaneously heating the entire volume of water in the samovar. A kettle make a noise almost immediately after it is put on the fire.